New York, New York – the place so good they named it twice! 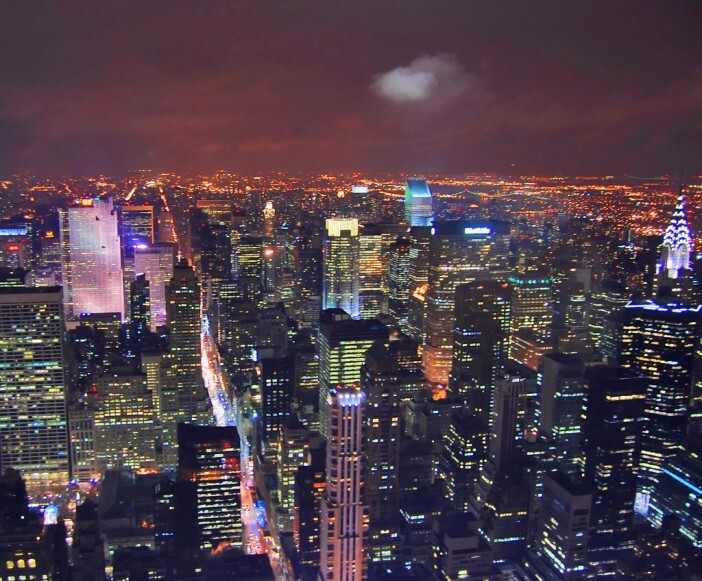 You will find endless things to see and do in this city that never sleeps. As always, Cruise 1st Australia has the very best deals on East Coast of America cruises which sail to New York. Click here to see the latest offers, or read on to find out more about The Big Apple. New York boasts so many crowns – dining and shopping capital, epicentre of the arts, trendsetter – it’s difficult to select just a few highlights for your visit as there truly is something for everyone here. For many visitors, top of their to-do list will be a visit to the iconic Statue of Liberty. This 151 foot tall statue is generally recognised as a symbol for freedom and opportunity. The crown is now open to visitors again, but numbers are limited. Don’t despair if you are unable to get to the crown, as there is a 16th-storey observation deck with a glass ceiling allowing you to take in the statue’s interior. One of the most famous buildings in the New York skyline is the Empire State Building. With observation decks on the 86th and 102nd floors offering superb views over the city with coin-operated telescopes offering a more close-up insight into the city and well-labelled maps allow you to pin-point what you are looking at. The National September 11 Museum and Memorial are now fully open to the public. The Memorial’s two massive reflecting pools – set in the footprints of the two towers – are a striking and solemn tribute to the tragic events of 9/11 back in 2001. No visit to New York would be complete without a trip to Central Park. The 843-acre green space was created in the 1860s and ‘70s to be a leisure space for all New Yorkers to enjoy. An oasis of calm and lush greenery within the city, it offers beautiful flowering gardens, serene ponds and a woodland space popular with bird-watchers. Be sure to stop by at the beautiful Bethesda Fountain on the edge of the great lake. Take a rowing-boat ride and then enjoy lunch in the outdoor cafe. There really is so much to see and do in New York that it’s impossible to fit in one article! Book your trip with Cruise 1st and start planning your adventure today! Sailing from New York you will then cruise onwards to Fort Lauderdale, Nassau, Willemstad, Panama Canal, Puntarenas, Cabo San Lucas, Los Angeles, San Francisco, Honolulu, Lahaina, Pago Pago, Apia, Auckland, Bay of Islands before finishing in Sydney. This fantastic cruise give you the opportunity to sail on Cunard’s newest luxury liner and includes a hotel stay in New York. Images sourced via Flickr Creative Commons. Credit: Scott Hudson.